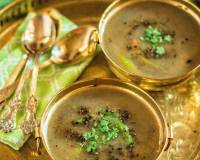 A healthy and tasty recipe of Horsegram Dal that keeps you satiated for a long time. 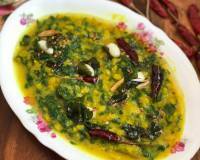 Serve this dal along with phulkas and any sabzi of your choice for a wholesome weeknight dinner. 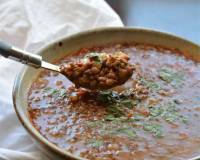 Horsegram Dal is an easy recipe to cook and it has lots of health benefits. 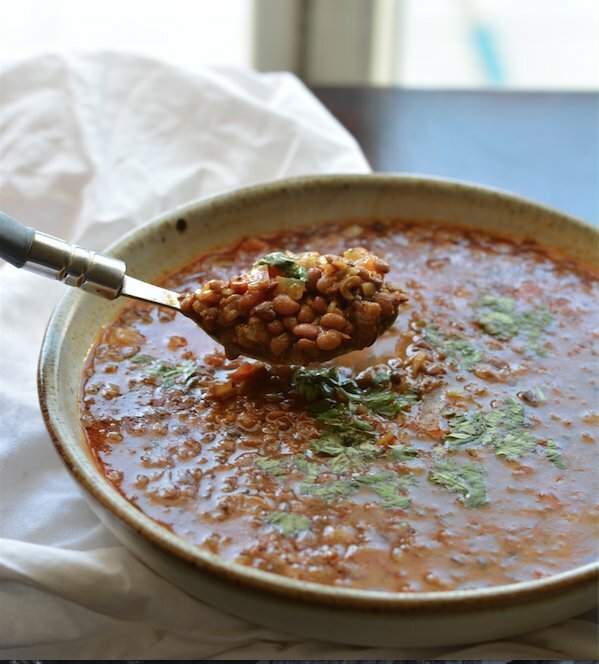 It is great for weight loss, aids in digestion and controls the release of sugar into the bloodstream, therefore making it a great lentil for diabetics. Apart from health benefits, it tastes great too. 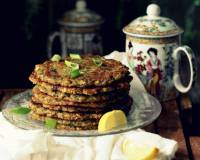 Did you know : Horsegram contains the highest protein content of any lentil in the world. This grain is fed to horses to keep them energetic and maintain weight, hence the namesake. Horsegram is also rich in iron and calcium among other nutrients. 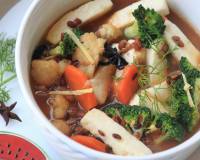 It is a poor man's food as it provides a lot of energy for a small portion consumed. It is a drought tolerant crop that can be grown in a low rainfall area and even on rainfed dry agricultural lands. 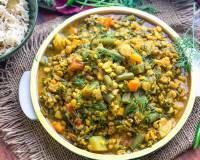 Serve Horsegram Dal along with Phulkas, Aloo Baingan Ki Sabzi and Boondi Raita for a complete and wholesome meal. To begin making the Horsegram Dal, first step is to soak horse gram in 1 cup of water overnight. 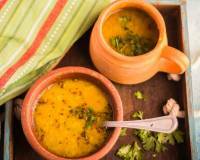 Next morning, in a pressure cooker, add the soaked horse gram dal and 3 cups of water. Add salt to taste and turmeric powder. Close the cooker with a lid and pressure cook for 6-7 whistles. Let the pressure release naturally. Next, heat ghee in a heavy bottomed pan on medium flame. Once the ghee has melted, add mustard seeds, cumin seeds and let them crackle. Add asafoetida and let it cook for few seconds. Next add ginger garlic paste, saute it and let it cook on medium flame until raw aroma of ginger garlic goes away. This will take about a minute or two. Add in the chopped onion, saute until the onions are translucent. Add tomatoes, red chilli powder, salt and coriander powder. Cover the pan and let it cook for 2 to 3 minutes. After 2 to 3 minutes, add the mashed horse gram into the pan. Cover and let it simmer for about 3 to 4 minutes. Turn off the flame and garnish with freshly chopped coriander leaves. 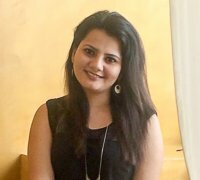 A Sales & Marketing professional by the day and a masterchef by the night, Pooja has been able to give creative edge to various Indian and western recipes. To satisfy her culinary traveling and cooking learning needs, Pooja has traveled across the country from vibrant cities to remote villages and learn the taste of real India. 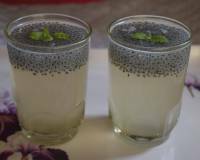 This has enabled her to bring the authentic taste & flavor of india on to the plate but with a modern twist.